Can You Charge Motorola Xooms From the USB Cable? Unfortunately, you cannot charge your Motorola Xoom by using the USB port. The USB port is designed for data transfer between your Xoom and a computer. The Motorola Xoom was the first Android tablet introduced, and it did not include a lot of features we now expect in all tablets. In fact, by not supporting USB charging, the Motorola Xoom was lacking a feature that was supported by the Xoom's chief competition, the iPad. The iPad can charge from the USB/charging port, as can many Android phones, but this just wasn't a supported feature on the Xoom. It's disappointing to find out that you need to carry more than one cable and can't use popular emergency battery systems with your Xoom, but the Xoom is hardly the first piece of portable electronics that can't charge by USB. Your netbook can't charge that way, either. That said, it made no sense not to include a single port for charging and file transfers. To charge your Xoom, you need to either use the proprietary charging cable that comes with your device or purchase a cradle accessory designed to work with Xoom. Do not plug in any charger that was not specifically designed for charging a Xoom. If you find that your Xoom is not charging as expected, make sure the charging cable is securely plugged into the device, and then try restarting your Xoom. 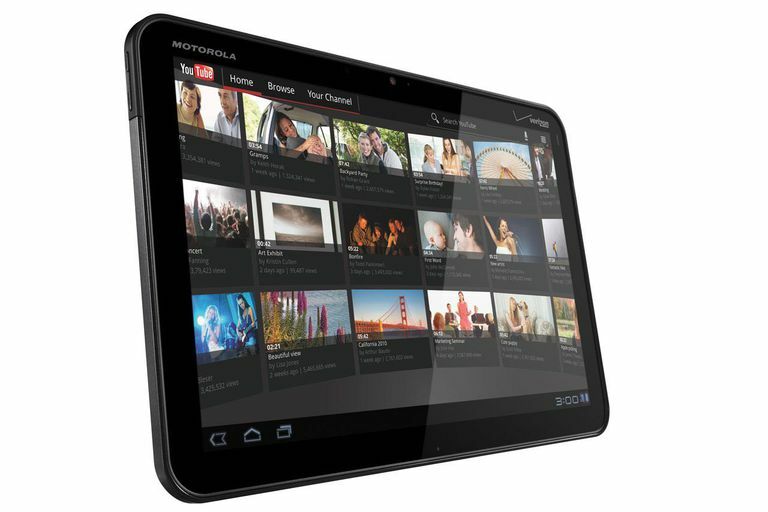 The Motorola Xoom was the first officially supported Android Tablet, and it was built like a brick - large and heavy. It ran on Android 3.1 Honeycomb, which brought a lot of innovation to Android. It supported tablets (obviously) and also introduced the first video app to browse for movies from Google's Android Market (which is now known as Google Play Movies). The Xoom also introduced video editing capabilities to the Android tablet with a simple video editing tool. Android Honeycomb also supported joysticks and other dongles, although none of them were released for the Motorola Xoom. Ultimately the Xoom was a bust. It's possible that the hardware was to blame, but certainly, Android Honeycomb's usability was a factor. Sales of the tablet " fell off a cliff" for Motorola rather than lifting the failing hardware company. The tablet was large, clunky, and not the iPad killer they'd hoped for. Motorola spun off their consumer electronics into Motorola Mobility. Google bought the company in 2011 and then sold the manufacturing portion to Lenovo in 2014 for billions less than what they paid for it. (The deal was really about acquiring Motorola's patents all along).